Massey University academic David Brougham said that many high skilled jobs consist of a number of repetitive actions that can be codified and done by a robot. But whopping 87% of respondents to a survey gauging the extent to which employees are impacted by technology said that smart technology, artificial intelligence, robots or algorithms could not take their job. “Despite experts like Bill Gates and Stephen Hawking warning about mass unemployment in the future, it seems very few New Zealanders are making any plans to change out of jobs that might disappear over the next five to ten years,” Brougham told the NZ Law Society. He said report writing software already on the market is almost flawless and that its important that people are aware of the impact technology is having in their sector. Law Society president Kathryn Beck said that while the nature of the industry is facing massive change, she doesn’t believe that lawyers’ jobs are at risk just yet because at this stage, robots can’t pick up on interpersonal nuance. 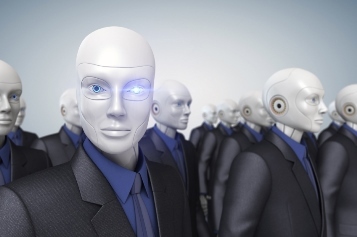 Attendees at a Robots and Lawyers Conference in London found that 48% of firms already use some sort of artificial intelligence, but only 4% thought they would actually be replaced by a robot. A decision making algorithm could be as effective as a judge, conference delegates were told. Professor Katie Atkinson said the research looked at whether computers could replicate the same reasoning as a judge. It achieved a 96% success rate with just one case wrong. Atkinson said the technique could be used to help make a faster, more consistent decision.